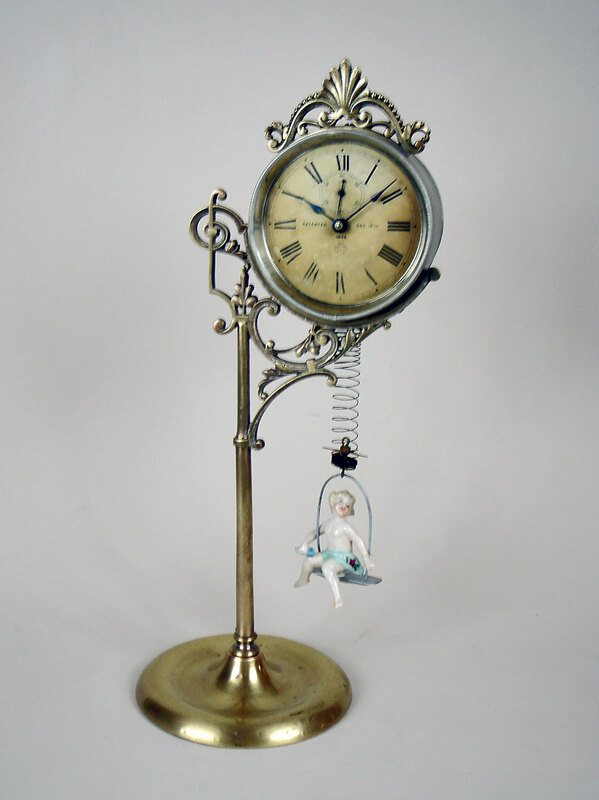 This is a rare American novelty clock featuring a bobbing girl by the Ansonia Clock Company. 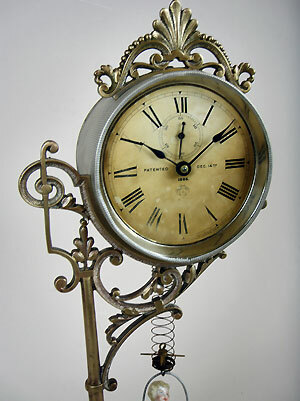 The four inch glazed paper dial has subsidiary seconds and spade hands. 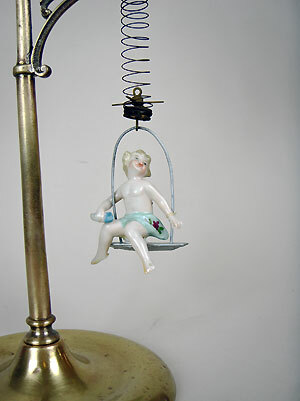 A 30 hour movement activates the porcelain figure to bounce up and down.